Student testing has historically focused on content knowledge and academic skills. But a growing body of research has highlighted certain noncognitive factors—such as academic perseverance and social skills—as pivotal to student learning.1 Drawing on this research, Soundview Academy for Culture and Scholarship, a South Bronx middle school, teamed up with Alicia Wolcott, a senior school developer at Eskolta, to design tools and processes for developing three noncognitive aspects of student learning at Soundview: academic behaviors, academic mindsets, and emotional literacy. In partnership with the NYC Department of Education’s Office of Postsecondary Readiness, Soundview faculty members Marissa Bailey, Damien Cabrera, Alisa Seidenberg, and Dorothy Nettey-Addo worked with Alicia to design and launch an academic behaviors rubric, an academic mindset survey, a goal-setting template, and lessons aimed at strengthening emotional literacy. 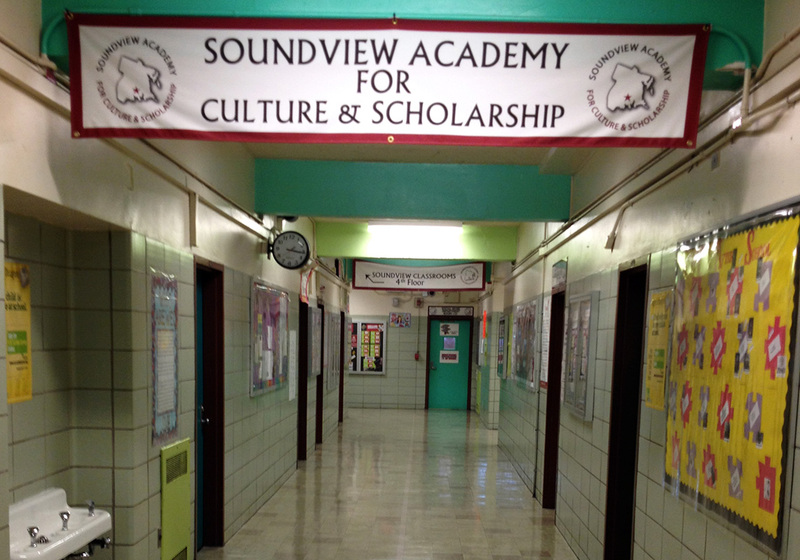 Soundview’s academic behaviors rubric, which both teachers and students use, emphasizes organizational skills, time management, academic preparedness, participation, and goal setting, each of which is connected to an indicator that requires concrete observations (e.g., the use of a planner or other tool influences the “organizational skills” rating). Soundview’s academic mindset survey, which students complete at the beginning and end of the school year, asks students to rate their level of agreement with statements on psycho-social attitudes and beliefs (e.g., “My peers want me to succeed”). These tools enable students and faculty to “zoom in” on the particular behaviors and beliefs that are shaping a student’s academic performance. Meanwhile, Soundview’s goal-setting template provides a framework for teachers and students to use during one-on-one conferences, allowing them to consider data from the academic behaviors rubric and academic mindset survey and then develop strategies for making progress toward new goals. Additionally, as a part of its focus on emotional literacy, Soundview drew from the RULER approach (developed by the Yale Center for Emotional Intelligence) to create socio-emotional lessons that help middle school students understand and regulate complex emotions.